Short Information: Union Public Service Commission, UPSC Final Result for the Post of Combined Defense Service-I Examination 2016. Those Candidates Who have Appeared in this Exam Can Download Final Result now. Indian Military Academy, IMA Dehradun 150 02/Jan/1994 to 01/Jan/1999 Bachelor Degree in Any Stream From Recognized University. Air Force Academy Hyderabad 32 20-24 as on 01/Jan/2018 Bachelor Degree with Physics and Math in 10+2 Level. Officer Training Academy OTA 225 02/Jan/1993 to 01/Jan/1999 Bachelor Degree in Any Stream From Recognized University. Officer Training Academy OTA (Women) 11 02/Jan/1993 to 01/Jan/1999 Bachelor Degree in Any Stream From Recognized University. 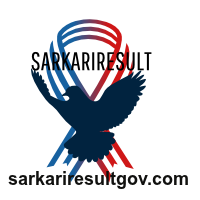 UPSC CDS I Recruitment Final Result Available now.